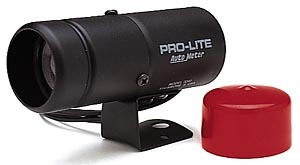 Detects slightest changes in pressure and temperature for oil, water & fuel to help avoid serious engine damage. Measures 5''L x 3''H x 1-5/8''Dia. Note: Sender Required.Combine with temperature and pressure switches to warn driver of critical conditions.